Strauss – Ariadne auf Naxos. Sächsische Staatskapelle Dresden / Christian Thielemann. Stage Director – David Hermann. Semperoper, Dresden, Germany. Sunday, December 2nd, 2018. The tension between art as a commercial transaction and the higher, noble mission of music is at the core of Ariadne auf Naxos, as is the tension between ‘high’ art and ‘low’ art. 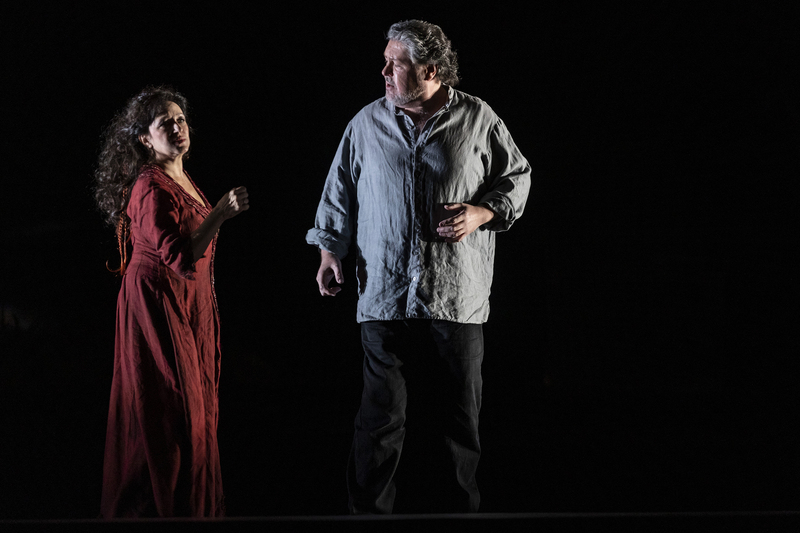 David Hermann is a most insightful stage director and I was very much looking forward to seeing him take on this work, particularly after his extremely fine Věc Makropulos in Berlin last week. In many respects, his Ariadne took a little while to start convincing but, by the end, I was completely won over by this fascinating musing on art and individuality. The reception for the production team was a bit mixed at the curtain calls, yet what Hermann, along with the excellent singing-actors at his disposal, gives us is an adult, complex piece of work. It struck me above all that Hermann’s Ariadne is a journey towards self-acceptance. For Ariadne, it’s accepting that she can love again; for Zerbinetta that she can actually find love; and for the Komponist (a feminine figure in a pantsuit with heels but using male pronouns) that he can actually fully accept his genderqueer self. In ‘ein Augenblick ist wenig’, Hermann fascinatingly illustrates the journey of two people to self-knowledge of their true nature, through the paradoxical elements of dialogue and solitude. Dialogue as Daniela Fally’s Zerbinetta and Daniela Sindram’s Komponist share real tenderness, but a tenderness that comes from them never quite looking each other in the eye, both entering and exiting the doors that line the stage area as the scene develops, alone yet together. I found it moving in its sparseness but also in the way that both stay within their boxes, almost reluctant to explore what the other can bring. 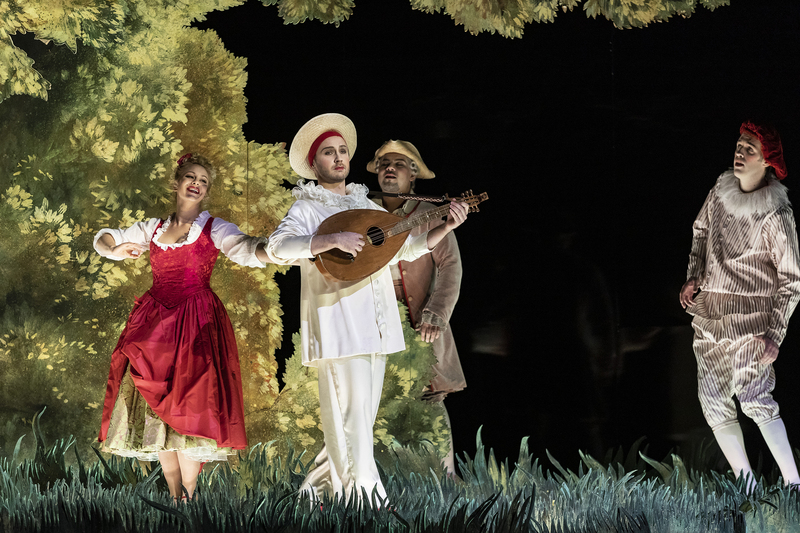 That idea of the separation of ‘high’ and ‘low’ art continues into the opera proper, the stage divided in two with, on one side a lush, verdant wood, and the other a dark, forbidding desert island with, as its centrepiece, a tomb. At first, the characters seem reluctant to cross to each others’ sides but, as the opera continues, they begin to mingle, to work together to create a work of art – particularly in ‘Großmächtige Prinzessin’, where the Komponist reappears and helps Zerbinetta compose her big scene as it goes along. For Hermann, that distinction between art forms is transient – there is no ‘high’ or ‘low’ art, just art. I found it a cogent and deeply thoughtful theatrical argument, culminating in a final scene that was so moving, the cast frozen in time as those magical final measures played. It was as if Hermann was saying, artistic boundaries are artificial, that art is transient, but the memory lingers and so much more connects us than divides us. 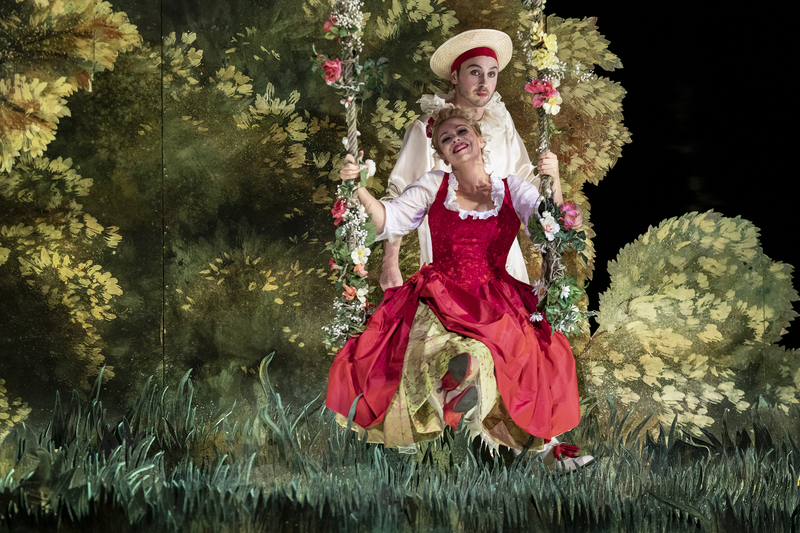 Elsewhere, the slapstick of the prologue was nicely done and there was quite a brilliant coup de théâtre when Bacchus showed up – visually impressive, the set quite literally broke apart as he made his entrance. In the prologue, I found Christian Thielemann’s conducting somewhat heavy-handed, the weightiness belying the modest forces, and lacking the mercurial wit that the score ideally needs. In the opera itself, however, Thielemann was most impressive. He conjured up playing of the utmost delicacy from the glorious house band, starting the opera prelude with long-limbed elegance of phrasing. The band produced a multitude of colours, the way that the low brass matched Krassimira Stoyanova’s Ariadne’s darkly chesty ‘Totenreich’ was so haunting. He started off ‘gibt es kein Hinüber’ at a daringly slow tempo, moulding the tension in an organic, natural way that made it feel as if time itself was in slow motion. The playing of the Staatskapelle, apart from a couple of fluffed trumpet notes towards the end, was magnificent – the warmth of sound amplified by the warmth of the house’s famed acoustic. Stoyanova was a heavenly Ariadne and, as always with her, she gave us a singing lesson tonight. The darkness of colour she brought to the lower-lying phrases, always full and resonant, was most impressive. She was not afraid to sing quietly in her ‘ein Schönes war’ the voice soaring and taking wing with easy reach, the pearly top ecstatically pealing. Yes, she did split the long line of ‘befreien’ with a breath in ‘es gibt ein Reich’ but the freedom and freshness of her vocalism was deeply impressive. There was a vulnerability to her singing that I found deeply moving. Her Bacchus was the experienced Stephen Gould. He appeared to be suffering from an unannounced indisposition, not uncommon this time of year alas, coughing from time to time. The tone was somewhat grainy, he was appearing to have trouble sustaining long phrases, and the top was unreliable, at times needing to resort to falsetto. Still, Gould gave us some big, beefy singing, certainly not lacking in amplitude. 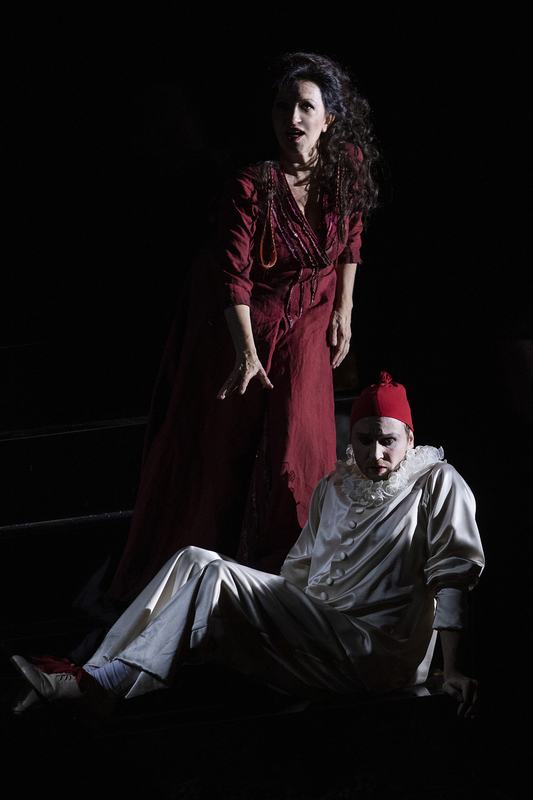 To take on a beast of a role like this when not at 100% and singing it with dignity is an undoubted achievement. Fally was a knockout Zerbinetta. Her diamantine soprano has an attractively sharp edge on top and she gave us a nicely full high E in her big number. The trills were neat, staccati impeccable and the passagework executed with accuracy. She’s also a deliciously engaging stage presence, camping it up with glee in all her dirndled glory. Sindram’s Komponist is also well-known. Her rich and spicy mezzo is nicely full bodied, although the top now tends to discolour at lower dynamics. She coped easily with the role’s high tessitura and sang her ode to music with full-throated ardour and abandon. In the remainder of the cast, Albert Dohmen was a big-voiced Musiklehrer, the tone now showing the passage of time but still absolutely firm and even in emission. Aaron Pegram was a fabulously camp Tanzmeister, his light, easy tenor always sung off the text. Rafael Fingerlos gave us a youthful Harlekin with an easy line and healthy tone. 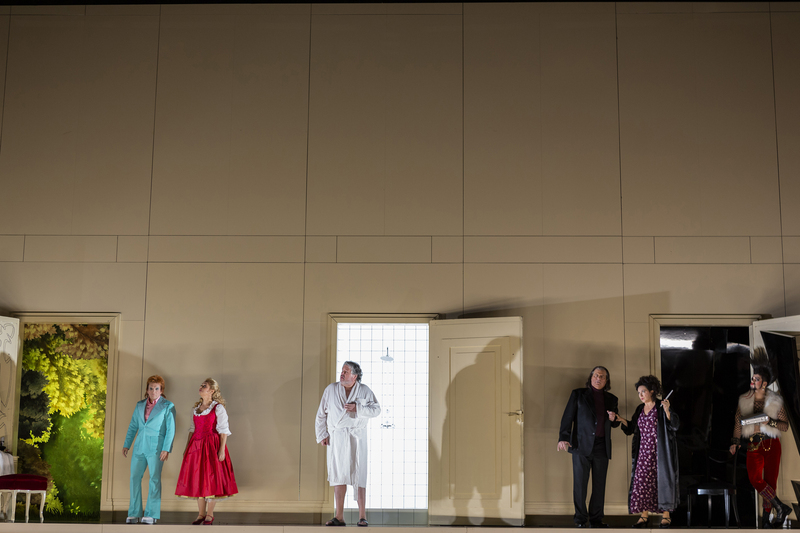 I was impressed by Bernhard Hansky in the small role of the Lakai – a very handsome baritone that I would certainly like to hear again. There was a nicely mellifluous and well-blended trio of nymphs and Zerbinetta’s troupe was sung and acted with impeccable comic timing and similarly well-blended tone. This was a very special evening in the theatre. The sound of that incomparable orchestra in music that this wonderful house lives and breathes was something truly remarkable. 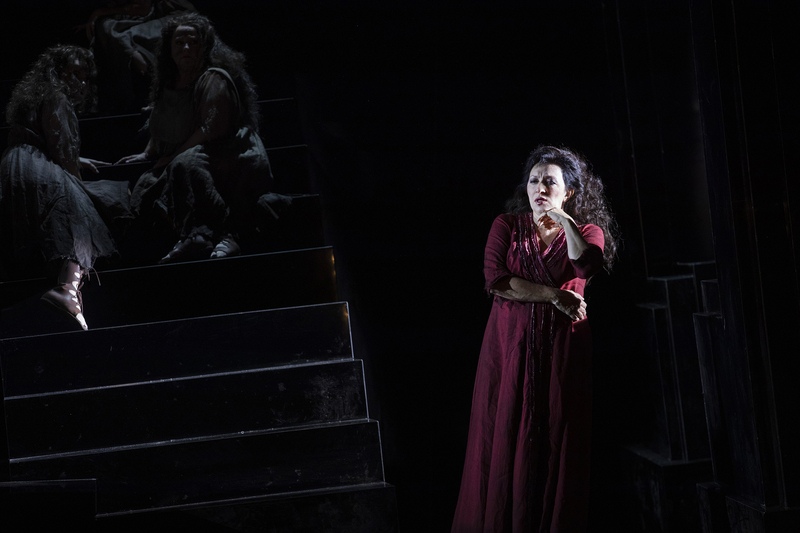 It was consistently well sung, right down to the smallest role, with Stoyanova, Fally and Sindram in particular, offering us some vibrantly generous and quite magnificent performances. We were also treated to an intelligent production that focused on the overwhelming power of creativity as a form of expression and as a way to not only bring people together, but also to allow one’s true nature to be expressed. There was something truly life-enhancing about this, a hope that through art we can indeed find a way to live better together, even if, to paraphrase Zerbinetta, a moment is fleeting. It was absolutely magical, just as any Ariadne should be.